Yesterday was our first day in Austin, TX, and boy was it amazing! We are down here because my 18 year old cousin, Olive went off to college this year, so we hadn’t seen her in over 5 months. 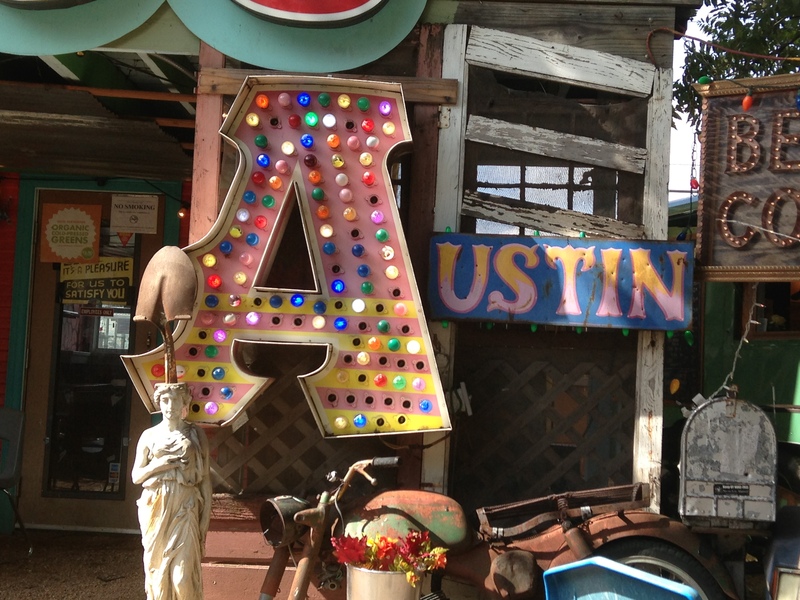 Austin is a funky town! We were able to fly out of San Luis Obispo to San Francisco (thats pretty rare because our airport is tiny) And then from San Francisco to Austin. When we got off of the smallish regional Jet in Austin (it was about 9:30pm) we were greeted with a humid 80 degree forecast, not to mention the thunderstorms. We walked through the deserted airport, looking at all the gated shops and restaurants, fairly amazed at the humidity of the city. When we got to the exit, we were greeted by a nice worker in a reflective vest, “Hiya, welcome to Austin!”. We grabbed a cab and drove over to our 1 room apartment (Edie and I slept on the couch bed) which is quite nice. 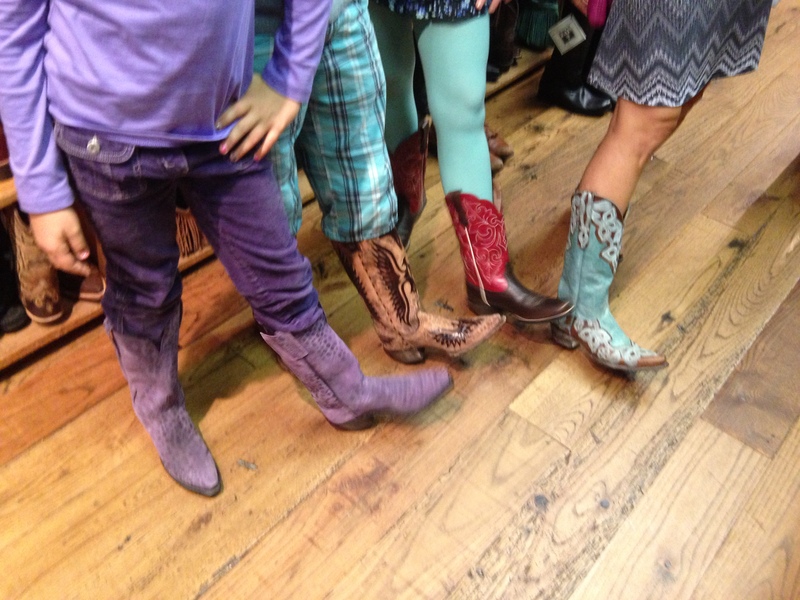 The next morning, we slept in until 8:30, and then went down to South Commerce st. and checked out some incredible shops; Allen’s Boots, and Uncommon Objects, an amazing antique store. 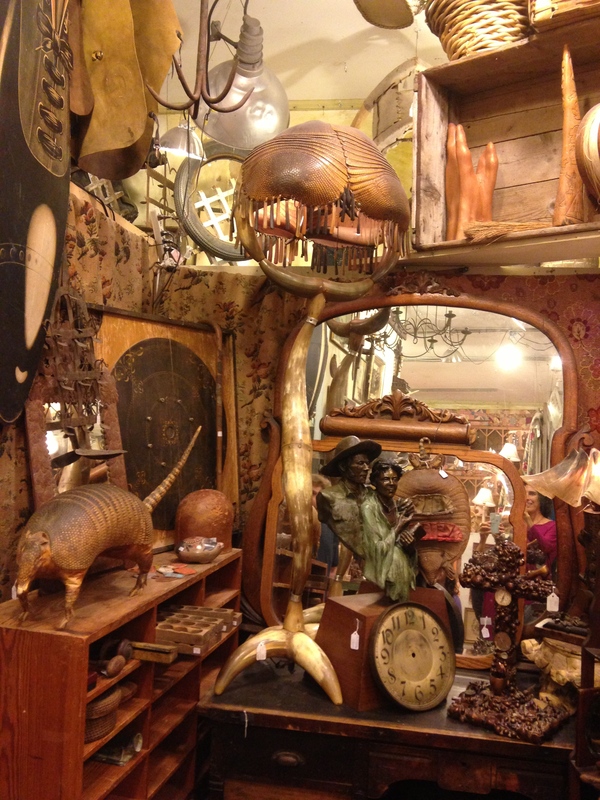 Uncommon Objects: the fantastical vintage shop. We especially liked this armadillo floor lamp. 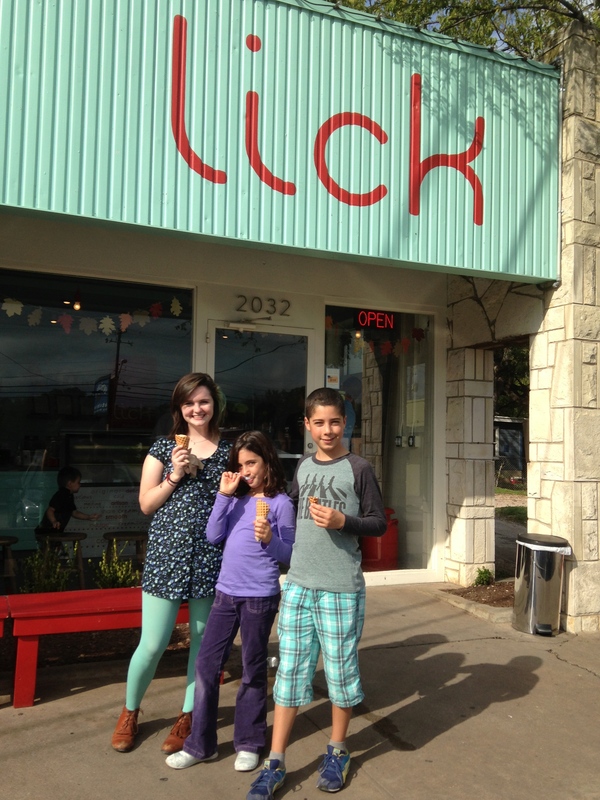 After that, we went over to this wild ice cream shop called Lick. I got the coconut avocado and the coconut peanut butter chocolate in a homemade waffle cone. Yum! I can’t believe that we are already on our trip! This entry was posted in Austin.